Did you watch Glastonbury this weekend? Or did you go? I’ve never been to Glasto, and while I’ve had some amazing festival experiences Glastonbury’s never been on my radar. It’s so big it scares me. And I think my blog, life and business have a lot in common with the little hippy festival of 1970! First of all, I’ve decided to start sharing some more personal and wedding blogging / business posts again. (Here are the ones I used to write.) A lot of wedding suppliers read the blog, and I know we share a lot in common and can help each other with little chats and thoughts like this post. Hey everyone! Happy Monday! I hope you’ve had a lovely weekend. It’s inspiration time on the blog this morning and I’m excited to tell you all about these gorgeous wedding invitations by Norma & Dorothy. Norma & Dorothy is a UK based independent wedding invitation shop. Created by designer Grace, it’s a place of pretty prints and playful lettering, a little world where you’ll find some of the loveliest wedding invitations you’re likely to see. Norma & Dorothy is an online shop only, run from a busy little craft studio in central Manchester. I discovered Norma & Dorothy on Etsy.com, and I’m delighted to see they’ve just launched on Not On The High Street as well – so I predict an incredibly busy year ahead for this charming little wedding craft business. I’ve only shown a handful of Norma & Dorothy’s beautiful invitations here, and that’s because I’d love for you to go to NormaDorothy.com and discover your own favourites. My top 10 bouquets of the year, held by real brides! Happy Saturday everyone! I totally fell in love with Hollie’s red rose and poppy bouquet on the blog this week, and it inspired me to fill the English Wedding Blog with flowers today. Whatever bouquet style you’re looking for, whatever your colours, there’ll be something wonderful here to inspire you. And for more, visit my wedding flowers Pinterest board! Almost a distraction from the gorgeous designs (below is my favourite: the roses are adorable and I love the artistic style) was the dinky packet of Love Hearts, which I had for breakfast. Yummy! You might think it’s the lambs which clinched this wedding as a must-have for my blog, but I promise it was the beautiful bride and fabulous flowers that won me over first. Then the lambs… sooo sweet! 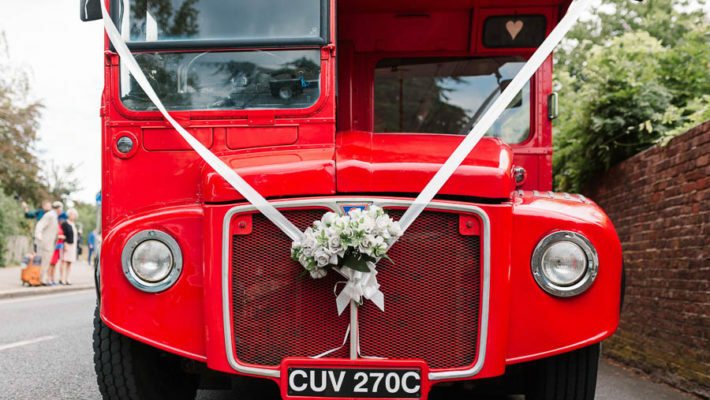 Hollie and Darren had a rustic village hall wedding with a twist of historical Britain, brought to life with red, white and blue in true style. 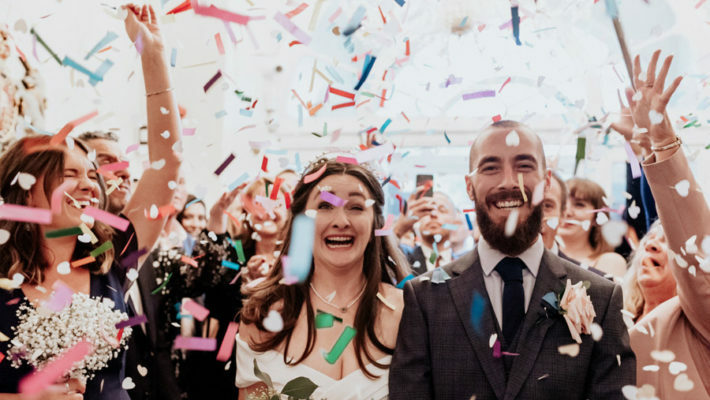 There are too many highlights here to list so I’ll leave you to jump right into the wedding photos, and we’ll end the feature with Hollie and Darren’s excellent wedding report. They’re gorgeous, amazing and such fantastic personalities – and they share lots of great advice and tips as well. 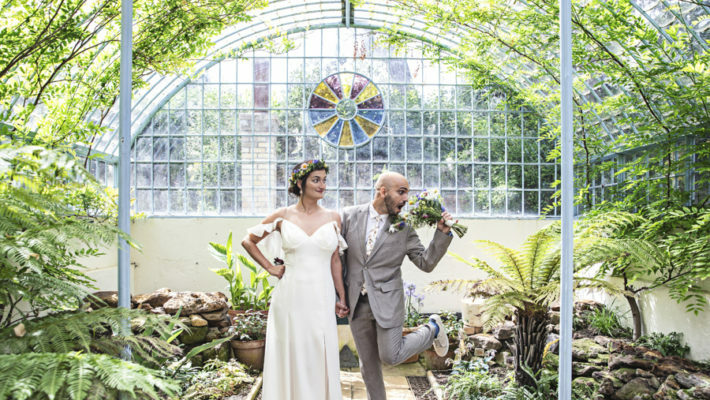 Do check out Rebecca Douglas Photography and Kent Life – but first, grab a cuppa and enjoy the wedding. It’s fabulous! Good morning lovely blog readers! Have you found your wedding stationery yet? I have to show you these delicious designs by fabulous Phylecia Sutherland, which landed on my little calligraphy desk a week or two ago. Her stationery is of the highest quality and perfect for calligraphy, and it was a real treat to discover and write out some samples. Weddings can sometimes be all the more beautiful for their simplicity and grace. 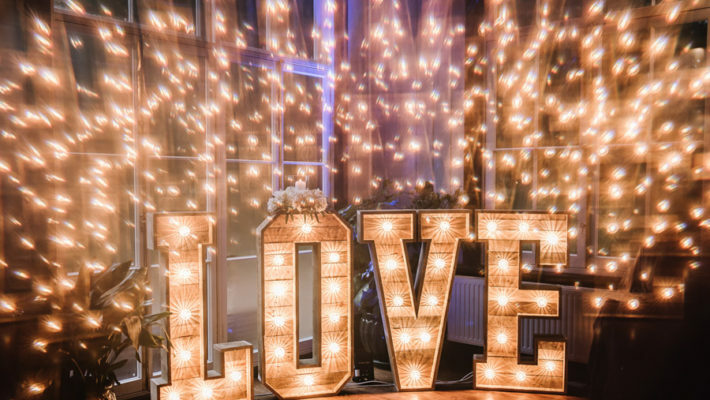 One gorgeous couple; two guests; and all the love in the world – over to Shaun Taylor Photography for something truly magical. The images are lovely, but don’t skip over the words, everyone! 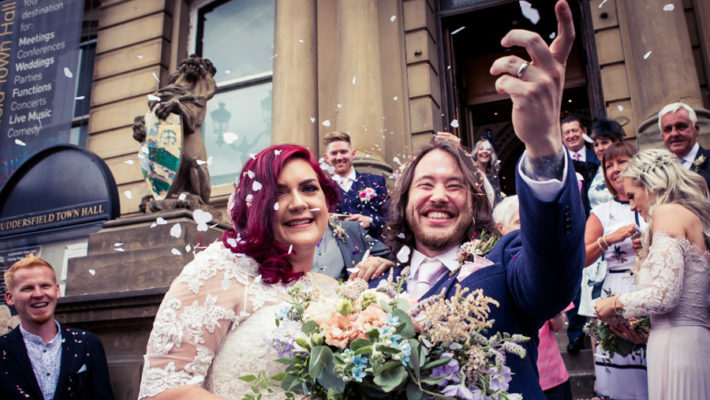 “Recently I photographed Sarah and Rob’s wedding in Bakewell, Derbyshire and I really wanted to share it with all of the English Wedding Blog readers. The English Wedding blog is a great resource for inspiration on how you can personalise your wedding with DIY tips and sourcing super talented and highly unique suppliers and quite often, when photographing weddings I see all of this come to fruition. I just adore today’s wedding at Scotney Castle. Clare and Mike chose the most elegant of venues for an outdoor ceremony in May and were blessed with fabulous sunshine. 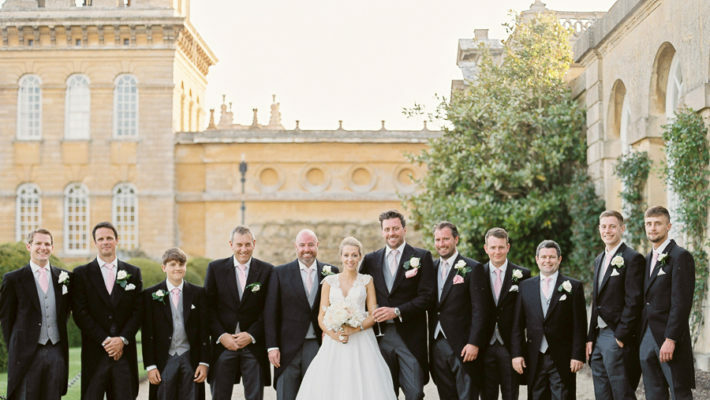 Their decor is charming and beautiful in subtle pastel tones, and Clare looks stunning in a lace embroidered dress which really flatters her figure. My favourite details are the flowers in jars, and my favourite photo is the one of Clare with her adorable little daughter – Mike looks fab too of course – every bit the English gent. Enjoy the wedding blog! Have a fabulous weekend everyone. Morning! 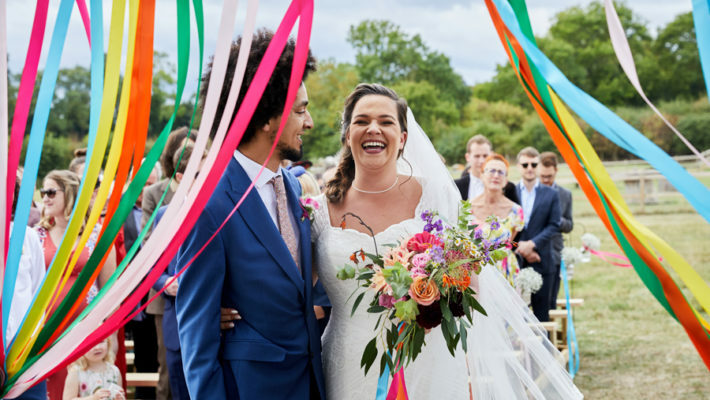 I would love all of you creative brides and grooms to join me for a rather surreal and magical adventure in September when I’ll be hosting three skills workshops at Kirstie Allsopp’s Handmade Fair. I’ve been keeping this quiet while plans have been made over the last few months, but tickets are selling like hotcakes and my face is even on the website so the whole thing now feels as official as it does surreal… almost!